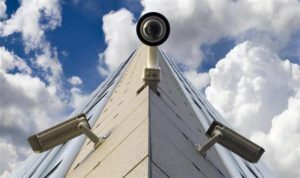 If you’re Entere having concerns about your commercial building’s safety, you may be taking a look at your local Houston TX Security System Companies. Are you trying to install to install video monitoring equipment and other forms of technology that can keep you and your workers safe? For the best service in town, choose Mega Systems Security for your next project. Our team of experts is prepared to provide you with commercial installations for affordable prices. Finding the right solutions for your business can really be tough. Every office is different. If you have a warehouse or something else entirely, the uniqueness of your structure may feel overwhelming at times. If at any point you have ever felt like the safety of your commercial building was in danger, you may have thought about hiring a company to help with security. There are a lot of different products, services, and manufacturers in the market. Our team provides you with a consummate service that gives you the best this entire business offers. Mega Systems Security has experienced technicians, up to date technology, and cutting edge offers that take the market by storm. You can count on us to help you with your commercial security needs. Finding the right setup can be extremely difficult because each business has different needs and expectations. If you’re trying to take this seriously and make sure you have the perfect products on your side, call us today at 713-668-8818. We provide our customers with onsite consultations to get them started on the road towards commercial safety. If you’re doing some research on security companies and systems, you may be a bit intimidated by all of the terminology. After all, how is anyone supposed to know what a hybrid video recorder offers their local Houston business? You’re probably trying to focus on what your company needs and how you can deliver that in the best possible fashion. Let our team of experts handle your security so you can keep track of your business and maintain progress. 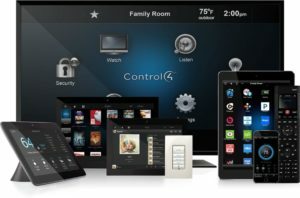 Houston TX Security System Companies are all around our town, but Mega Systems Security stands out from the competition. We provide our customers with quality security solutions that keep things safe for years to come. Make sure you have access to the latest and greatest safety technology by calling us today at 713-668-8818. We can help secure your building while keeping your workflow in progress. Internet protocol (IP) cameras are extremely popular amongst consumers nowadays. This is a more up-to-date version of the traditional analog camera, but it gives users a bevy of features. These are all in hopes of giving you, the consumer, a better product while also enhancing the overall security of your building. They’re known for their incredible resolution and ability to capture high definition video. IP cameras also allow you to have a wider field of vision and range when capturing video. This could be the perfect technology for you if you have a business that needs some extra security measures. These types of cameras can also give you features that extend to your smartphone. Are you trying to invest in a security system that can send alerts directly to your phone? If you want to make sure you have the latest information about your business premises, we can help. With IP cameras alongside our smartphone applications, you’ll be able to feel confident in your commercial security at all times. IP cameras’ power supplies usually come from a power over Ethernet switch. Our customers enjoy this setup because it eliminates a lot of wiring and clutter from their ways. Traditional analog cameras usually require a lot more cabling and other components to work properly. In addition to this, POE switches also give you a more stable connection and better performance. Choose this if you want a modern way to improve your commercial security in Houston. If you’re considering investing in security camera technology, you may also be worried about the storage of footage. Mega Systems Security understands the importance of data security, which is why we’ll help you configure your settings to your personal needs. We have applications and technology that can save your camera’s footage for timespans ranging from a week to six months. Our technicians can help you figure out a perfect set of configurations that will provide you with an effective commercial safety setup. Call us today to learn more details about our services and set up your onsite consultation. Mega Systems Security wants to make sure you feel good about the deal you get from us. After all, we’re a local business just like you, and we care about this city’s booming economy. We’re proud to say that provide affordable deals and accessible rates for our fellow entrepreneurs, owners, and budding businesspeople. If you’re looking for great security that will keep your biggest investment safe while it builds into an empire, we can help. There are a lot of Houston TX Security System Companies, but Mega Systems Security stands out for many reasons. We provide our local customers and clients with high tech security and technology combinations that help their businesses stay safe. If you’re looking for protection for your latest office or small business, let us now so we can help. Our team is ready to create a customized solution that’s perfectly suited for your environment. Call us today at 713-668-8818 for more information. Houston boasts an airport system that services millions of people on a yearly basis. Our city was traces back to the year of 1836. What started as a small congregation of settlers has become one of the biggest and brightest cities in America. Houston continues to contain some of the best professional athletes in the world. Elite performers such as James Harden and JJ Watt continue to help our city compete at a high level. Visit Houston! This is a city on the rise. Don’t miss out on the movement!